For those with a dark site from which to watch, and the patience to “wait for it…” the 2015 Perseids meteor shower was a good show. Reports from around the world noted substantial numbers of “shooting star” sightings. In the Northeastern Ohio area, amateurs reported from 25 to as many as 57 meteors per hour from good viewing locations. Local observers reported seeing persistent trains, greenish colors, and even flares from some meteors. The NASA All-Sky “Fireball Network” recorded hundreds of meteors during the event peak, the night of August 12 to 13. 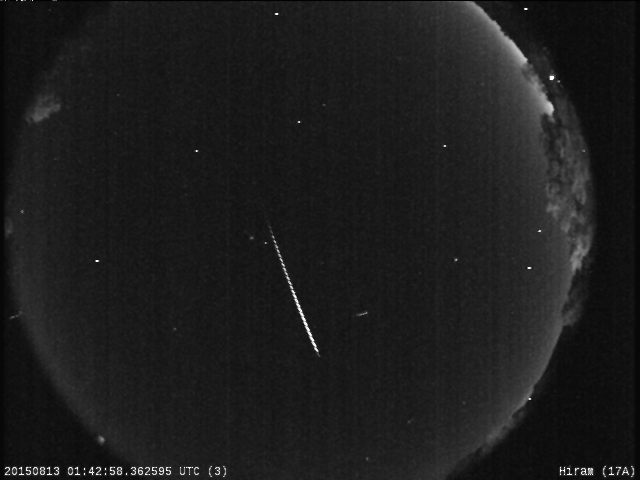 “The Perseid shower last night was an almost perfect combinations of circumstances – no Moon, decent shower rates, and clear skies over much of the network,” wrote Dr. Bill Cooke, Meteoroid Environments Office, NASA Marshall Space Flight Center. 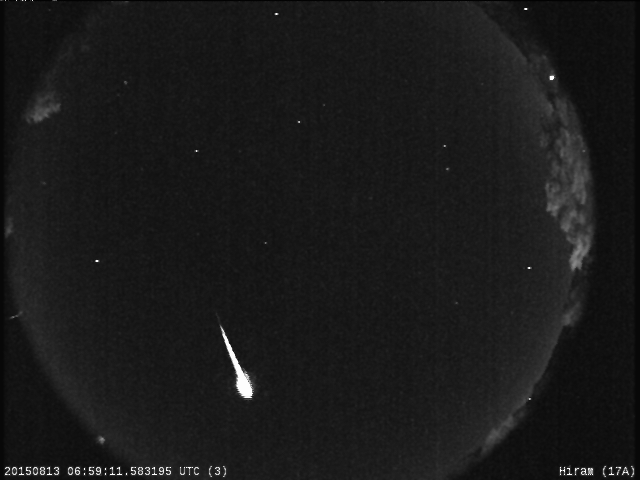 The Fireball Network camera system located on the campus of Hiram College recorded a good number of fireballs — meteors brighter than the planet Venus — overnight including several that appeared directly overhead and at least one that appears to have ended in a flare … a bolide. In the images we have posted here, the top of the photo is north and the bottom is south. 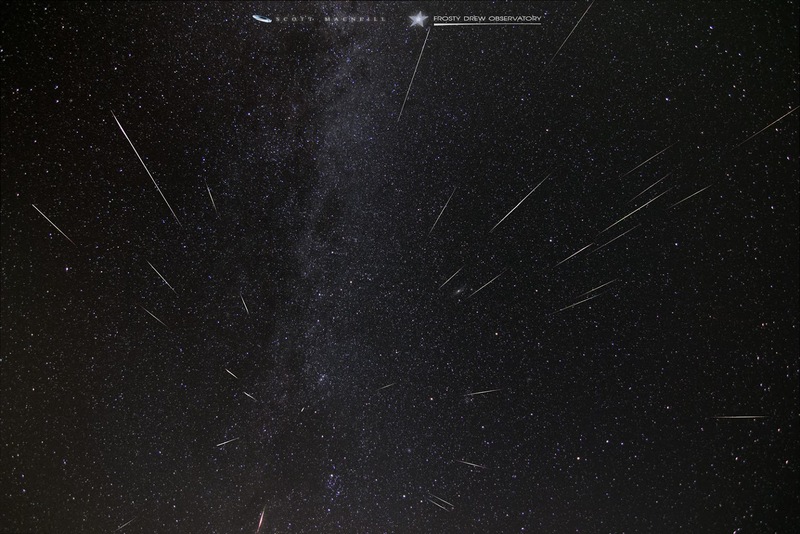 The Perseid meteors are associated with the stream of dusty debris called the Perseid cloud and stretches along the orbit of the comet Swift–Tuttle. Meteors appear when Earth passes through the dust cloud and bits of cometary material plunge into the atmosphere where friction heats and vaporizes them. The debris particles enter Earth’s atmosphere at around 35 miles per second and most are about the size of grains of sand. The name of the shower is derived from the fact that the meteors, if traced back along their paths, appear to radiate from the constellation Perseus. UPDATE: The August 22 Open Night was a tremendous success seeing 49 visitors overall! Early arrivals were not only treated to good to excellent views of Earth’s Moon but fair to good sightings of Saturn and several of its moons as well! Over the course of the night we were able to observe open star clusters M6 (Butterfly), M7 (Ptolemy’s) in Sagittarius, and the Double Cluster in Perseus; globular clusters M28, and M22 in Sagittarius; and the Andromeda Galaxy or M31 as catalogued by Messier. The exploration ended, nearly on time, as clouds moved in from the southwest obliterating our viewing of “faint fuzzies” like globular clusters! Thanks to all who attended! Stephens Memorial Observatory of Hiram College will be open to the public on Saturday, August 22, from 9:00 to 11:00 PM. 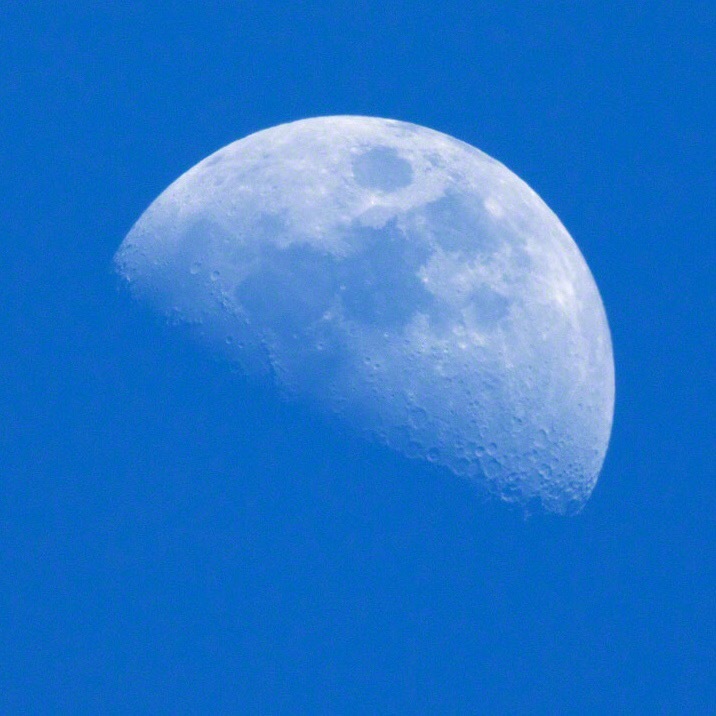 On the observing list for the night are: the First Quarter Moon (early), and a couple of star clusters including M4 in Scorpius, finishing with the Andromeda Galaxy (late). Please note that the Moon will become obscured by neighboring trees before the end of open hours; arrive early if you wish to see it!